GOLETA, California -- A video baby monitor is being recalled because it could possibly burn your baby or yourself. 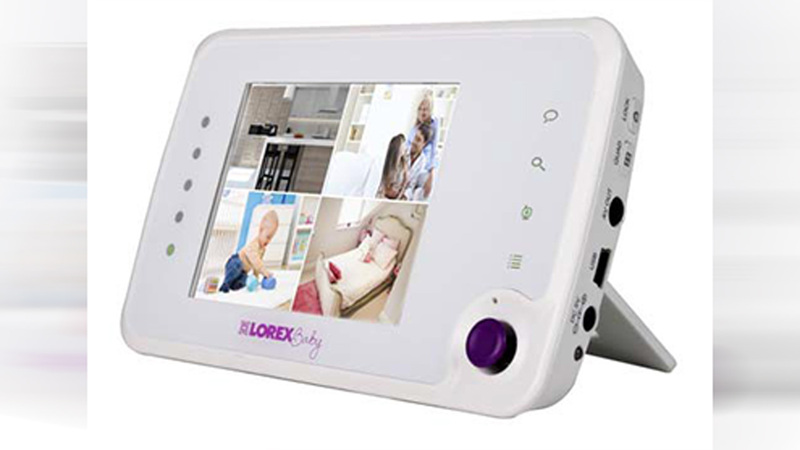 The Lorex Care 'N' Share baby monitors with model numbers WL3520, WL4320 and WL3401 are included in the recall. The model numbers can be found printed on the back panel of the monitor. The company says about 26,000 units are being recalled because the video monitor's batteries can overhead, swelling and expanding until the battery cover opens or comes off. This can expose hot batteries to your bare skin, causing a burn. The monitors are sold at Babies 'R' Us, B&H, Best Buy, Target, The Home Depot, Walmart and on Amazon.com. Nearly 500 people reported the problem to the company, but so far, no one has been injured. The company says you can get a full refund by calling Lorex at 844-265-7388 from 9am to 5pm, Monday through Friday. You can also contact the company through their website at lorextechnology.com.